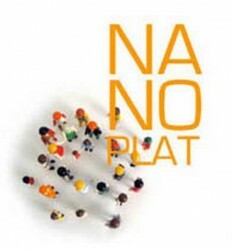 NANOPLAT was an FP7 Science in Society project which aimed to develop a platform for deliberative processes on nanoscience and nanotechnology in the European consumer market. The project, which ran in 2008 – 2009, concentrated on deliberative processes concerning human and environmental safety, ethical and moral dilemmas, and perceptions of risks and responsibilities as revealed through a focus on the market interfaces across the value chain of consumer goods. Consumers, citizens and their organisations could be the most important stakeholders in the diffusion process of nano-products in Europe and beyond. The main goal was to evaluate and stimulate a deliberate dialogue, and give scientific support to the stakeholders responsible for this dialogue. The project evaluated selected deliberative processes in Europe, both at the EU and national level, with special focus on consumption. It identified the needs and interests of relevant stakeholders along this value chain, especially focusing on producers, consumers, NGOs and civil society. The project developed a deliberative and science based platform for a stakeholder dialogue in Europe and beyond in this area. Visit the NANOPLAT website (external link, last accessed 28 March 2014).